Partial discharge (PD) due to different shapes of free metal particle in mineral oil has been measured in order to study the PD behaviour induce by metal particle in mineral oil. PD under influence of spherical metal particle has been compared with cylindrical metal particle under AC applied voltage in various gaps. Partial discharge inception voltage (PDIV) for both shapes of metal particle appeared to increase with increasing of gaps. PDIV of cylindrical metal particle demonstrate a lower value compared to spherical metal particle with increasing gaps. PD due to sphere shape metal particle revealed to be less compared to PD due to cylinder shape metal particle. The observation on spherical and cylindrical metal particle movement revealed that there were different stages of motion process involved. The electric field distribution analysis shows a consistency with PDIV results. Shape of metal particle revealed to influence the PD behaviour in mineral oil. 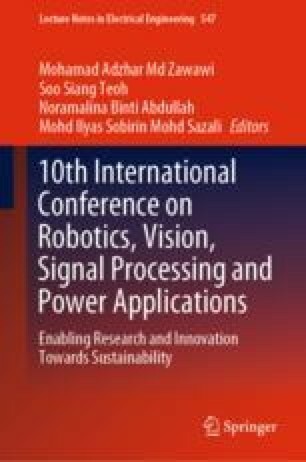 The author is deeply indebted to Malaysia Ministry of Higher Education and Universiti Sains Malaysia for financially support this work under MyPhD scholarship and Research University Grant (1001/PELECT/814232).